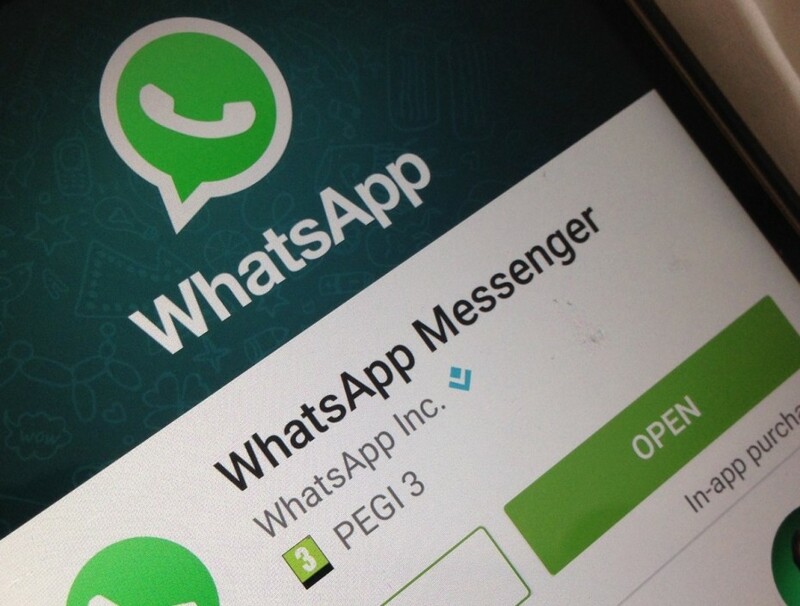 Should Brands Be Paying More Attention To WhatsApp? By now, we’re all familiar with the usual online platforms that provide opportunities for direct digital marketing: Facebook, Twitter, Instagram, YouTube, and Google in general to an extent. Getting right in front of as many eyes as possible been a tenant of online marketing for as long as there’s been an opportunity to advertise in digital spaces. It’s not a secret that much of our online time is spent on mobile devices, mainly on instant messaging and social media apps more than anything else. Digital marketing has had a strong hold on social media spaces but what about instant messaging? With millions of users on the service, WhatsApp is one of the most popular messaging apps there is and is a prime opportunity for brands wanting to try a cross-platform approach. 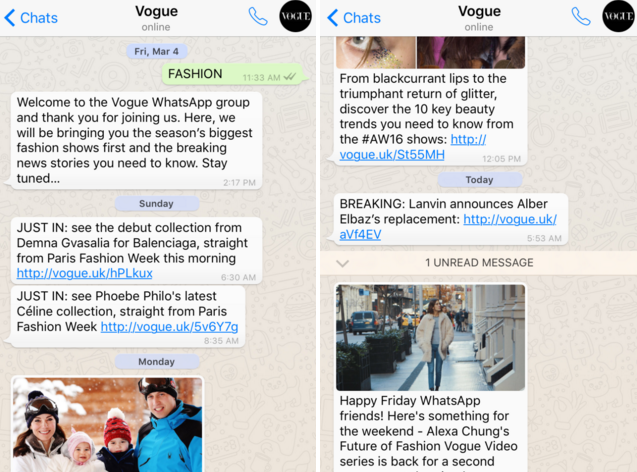 Recently, Huffington Post, and BBC have been using WhatsApp to send both breaking news as well as long-form news stories using WhatsApp, but fashion magazines like Vogue and Glamour have both stepped into the arena to bring more content directly to users’ phones. By joining a group or simply having a brand’s contact information saved to a device that’s using WhatsApp, users will have access to up-to-the-minute stories and images without having to search through the web or social media to find what they’re looking for. Brands can also always use WhatsApp in its original intended way – by having one-on-one conversations with subscribed users as a channel of customer service that serves a similar function to Twitter’s DM features or Facebook chat and messages. For brands that thrive on a more personal connection to their consumers, WhatsApp offers a unique direct line to them. Where text alerts of the past wouldn’t suffice, WhatsApp allows brands to share multi-media offerings like images and short videos to users who may not follow them on multiple social platforms – or have time to check out what they may have missed that day. If more brands turn to instant messaging platforms for more than just in-app advertising, they’ll have to take stock of the frequency of the messages – being sure not to flood a service that people typically use to talk to their friends and family. It will be imperative to think about the most breaking headlines and pertinent information to be shared with their subscribers, as it should only be a fraction of what a brand would typically post on social media. Another great upside to messaging apps like WhatsApp is that it’s a space that, for now, is completely safe from ad-blockers. Users have to opt in to your messages much like how they would follow you on social media. But, being on a platform that is more likely to send message notifications directly to their mobile device means you will grasp their attention much quicker, especially on headlines you’re hoping to elicit a more immediate response from. Your social media timeline will not always be the first thing users see when they log in to their respective platforms, and going back to view messages they may have missed. Like any platform, discretion will be crucial to not over saturating the space and creating filters and blocks in the same ways other social media platforms have; but brands should still start seriously considering it for their future social media plans – particularly if they’re looking to reach a global audience that relies on free messaging services like WhatsApp to stay in touch.